As a developing country, South Africa does not have a legally binding target to reduce its greenhouse gas (GHG) emissions under the UNFCCC. 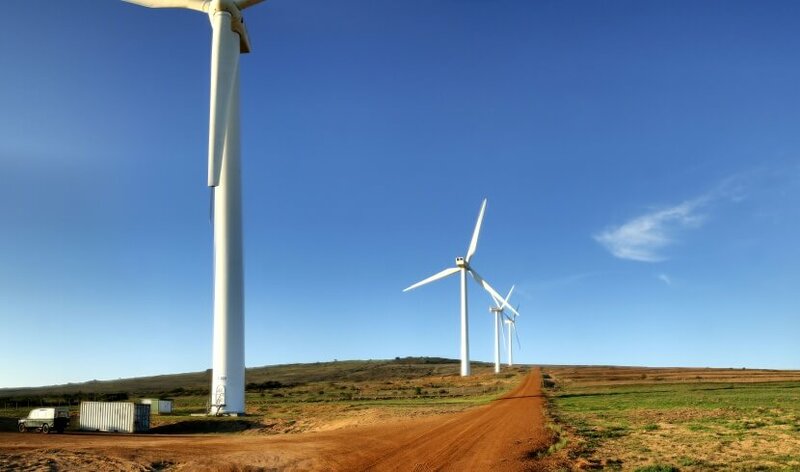 The government has, however, volunteered under the Paris Agreement to reduce South Africa’s GHG emissions by at least 34% by 2020 and 42% by 2025. But a large share of these emissions emanates from the widespread use of the country’s abundant coal stocks, and it can be safely assumed that coal will continue to be the primary energy source for many decades to come. To achieve energy security and improve energy access, the government continues to invest in nuclear power and has identified the transition to a “green economy” as an opportunity to develop new industrial and technological capabilities to support economic growth and employment. South Africa’s GHG emissions are heavily driven by the energy and industry sectors. In 2010, these two sectors accounted for 61% and 19% of the country’s total emissions respectively, with the share of heavy industries expected to rise to 26% by 2050. 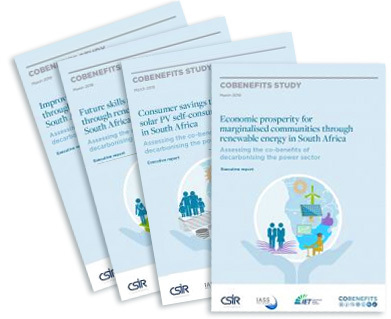 However, regular energy crises and black or brown outs underpin a lack of diversity of the country’s power mix and weaken the South African competitiveness. At the same time, deficient energy supply, i.a. caused by a lack of grid extension, exclude less prosperous members of the South African society. All climate and energy policy is, thus, subject to the constant attempt to reconcile climate change imperatives and the need for development and the fight against inequality. Job creation is vital, but potentially positive job impacts by renewable sources of energy need to be balanced against potential large-scale losses of jobs in the well-established coal and mining sector. The Pretoria-based Council for Scientific and Industrial Research’s (CSIR) Energy Centre (EC) was established in 2014 with the aim of providing science-based outputs that help South African decision-makers in politics, business and science to navigate the energy transition. This transition is a move towards a more sustainable and cleaner energy system and will ultimately lead to energy being used more efficiently and generated by a significant share of renewables in the primary energy supply. The CSIR’s Energy Centre will also leverage the lessons learned from the South African energy transition to support the creation of sustainable energy systems for other African countries.